Limited availability: the official 2018 Season 3 shirt in Charcoal HeatherSpecifications:Charcoal Heather - Hane's Tagless shirt *please note that this color is a 60/40 cotton/poly blend Size Chart .. 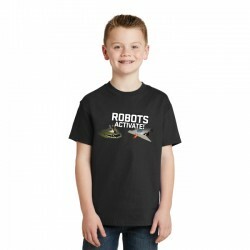 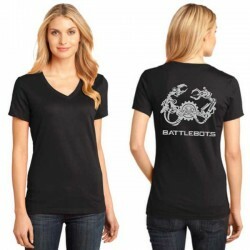 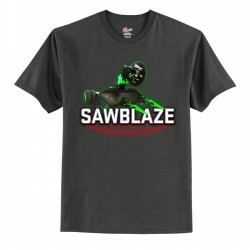 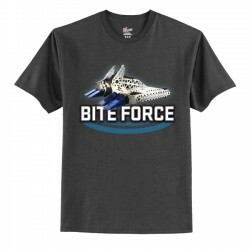 Carrying both the original BattleBots logo and the sleek new version, this Tee is available in Light Steel, Red, Black or Charcoal.Specifications:Black - Hane's Tagless 100% cotton shirt Size Chart .. 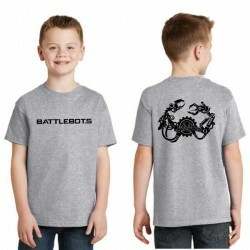 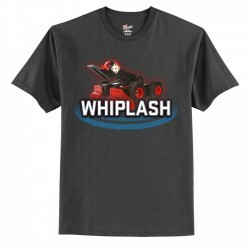 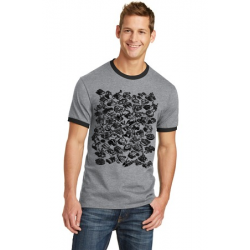 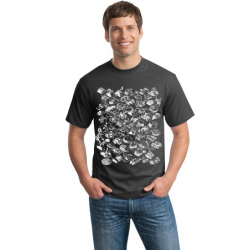 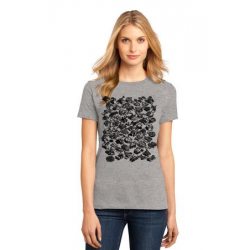 Carrying both the original BattleBots logo and the sleek new version, this Tee is available in Light Steel, Red, Black or Charcoal.Specifications:Charcoal - Hane's Tagless 100% cotton shirt Size Chart .. 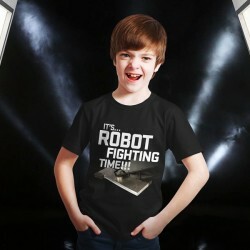 Carrying both the original BattleBots logo and the sleek new version, this Tee is available in Light Steel, Red, Black or Charcoal.Specifications:Red - Hane's Tagless 100% cotton shirt Size Chart ..
Versatile, casual, stylish – this ‘ringer’ shirt in Athletic Heather could soon beyour favourite Tee. 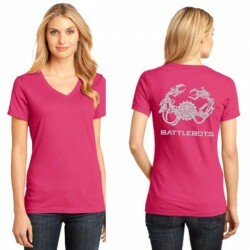 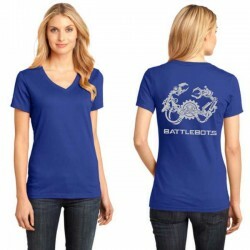 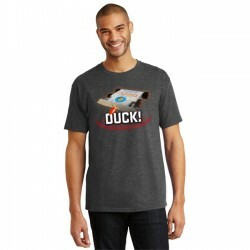 And it has two BattleBots logos on it – what’s not to love?Specifications: Athletic Heather: Port & Company 5.4-ounce, .. 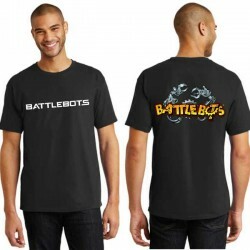 The original full color BattleBots logo in a quality cotton crew TeeSpecifications:Black Hane's Tagless 100% cotton shirt Size Chart .. 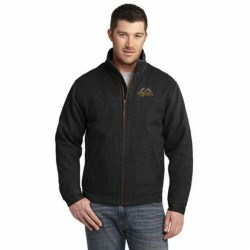 Specifications:Hanes® EcoSmart® - Pullover Hooded Sweatshirt7.8-ounce, 50/50 cotton/polyMade with up to 5% recycled polyester from plastic bottlesPrintPro® XP fleece with high-stitch density for superior embellishme.. 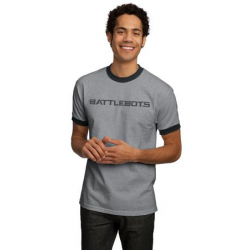 The official Season 2 shirt featured images of all the competing bots in 2016. Available in Light Steel or Charcoal Heather, or ringed.Specifications:Light Steel - Hane's Tagless shirt *please note that this color is a&nb.. 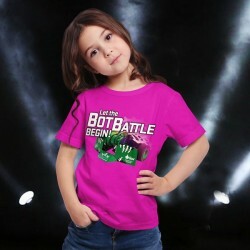 The official Season 2 shirt featured images of all the competing bots in 2016. 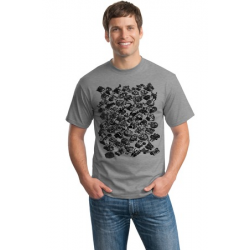 Available in Light Steel or Charcoal Heather, or ringed.Specifications:Charcoal Heather - Hane's Tagless shirt *please note that this color is.. The official Season 2 shirt featured images of all the competing bots in 2016. 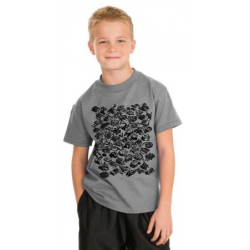 Available in Light Steel or Charcoal Heather, or ringed.Specifications:Athletic Heather - Port & Company 5.4-ounce, 90/10 cotton/poly Size ..